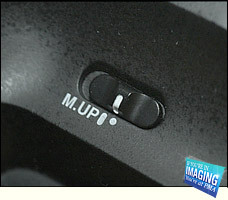 It was around March 2005 when we were informed about the new Pentax Digital medium format camera. 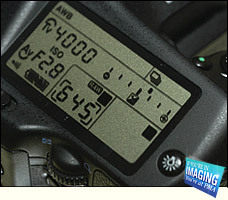 At that time there was nothing more to report on than the fact that Pentax Corporation announced the first Pentax 645 Digital medium format camera at the Photo Imaging Expo (PIE), held in Tokyo, March 2005. 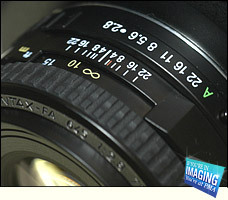 The expectation was that in 2006 Pentax was ready to introduce a final product or at least a pre-production model almost close to a final unit. Now, at the Photo Marketing Association (PMA) Show, held in Orlando, Florida, Pentax is ready to show their 645 Digital medium format camera to the public. Pentax 645 Digital medium format camera - Pentax introduced the world's first multi-mode medium format film camera in 1984 - the Pentax 645. 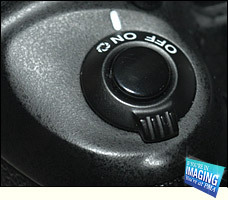 In 1997, the manufacturer unveiled the Pentax 645N, which was the world's first medium-format camera with a high-precision autofocus system at that time. The latest version, the Pentax 645 Digital medium format camera will offer a new digital dimension for medium format photographers. 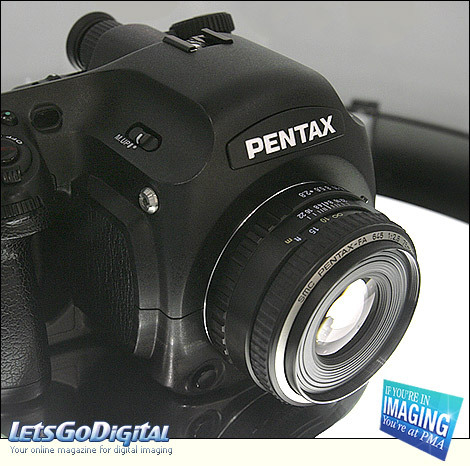 The Pentax 645 Digital medium format camera offers professional-quality digital image reproduction with 18 effective megapixels, a Kodak-developed extra-large CCD image sensor with 18.6 total megapixels (tentative), a Pentax-original 645AF lens mount, the 645 Digital will maintain compatibility with existing smc Pentax 645 interchangeable lenses. Kodak KAF 18000CE Image Sensor - The new Kodak KAF-18000CE image sensor has been selected by Pentax Corporation for use in the Pentax 645, leverages Kodak's 9-micron pixel design and color technology for exceptional image quality, sensitivity, dynamic range, and color fidelity. With 18.6 million total pixels, the sensor provides an output resolution of 18 megapixels to capture images with exceptional clarity and detail. New to the KAF-18000CE is a dual-output architecture that enables faster sensor read-out times, allowing camera designers to achieve increased frame rates in their final camera designs. 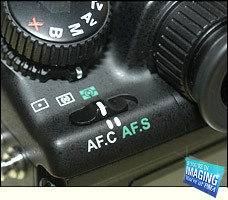 With this unique combination of image quality and speed, the KAF-18000CE provides manufacturers an affordable image sensor that is ideal for landscape, fashion, or wedding photography. About Pentax - Over many years, Pentax has gained a vast pool of knowledge and expertise through our ongoing introduction of innovative and industry-first technologies. 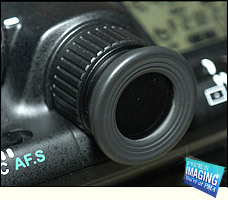 These cover many fields, from cameras and digital devices to medical equipment, industrial systems and biotechnology. All our efforts are aimed at one goal: to provide our customers with the tools for greater fun and pleasure. Our commitment is to continue to develop and produce the new technologies and attractive products that keep us part of your life. 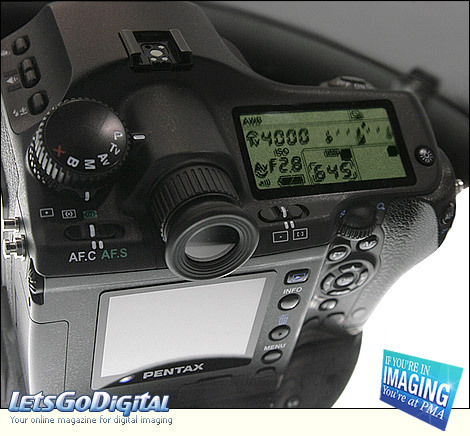 Follow the link below to read more about the Pentax 645 digital.